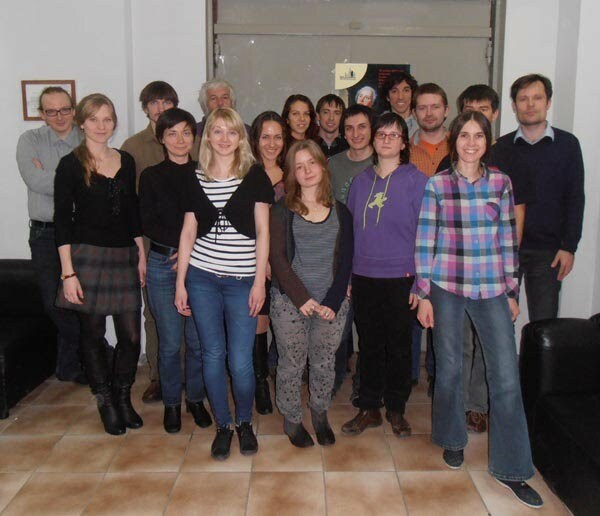 Laboratory of Evolutionary Genomics, headed by Prof. Alexey S. Kondrashov, was established within the College of Bioengineering and Bioinformatics of the Lomonosov Moscow State University near the end of 2010. The goal of the laboratory is to carry out research on the subject of megagrant "Phylogenetic analysis of complex selection in molecular evolution" (agreement №11.G34.31.0008 within the megagrant program, created at 9 April 2010 by the executive order #220 of the Russian Government). Currently, there are 21 people in the laboratory, including 6 postdocs and 9 graduate students. We perform theoretical and experimental studies of a variety of interesting problems which belong to the broad field of evolutionary genomics. We collaborate with colleagues from other laboratories, both within and outside the MSU, providing them an opportunity to apply methods of evolutionary genomics to their systems. We also are involved in teaching subjects relevant to evolutionary genomics at the MSU, which includes developing new courses.